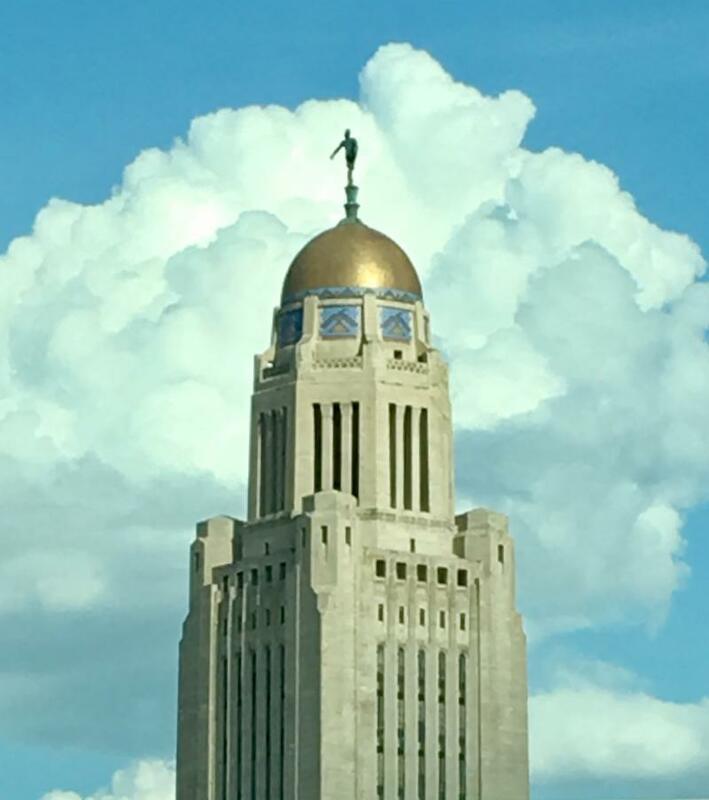 The Nebraska Legislature just passed the halfway point of this year’s 90-day session. All bills introduced this session have received a public committee hearing, and full-day floor debate begins April 2. Several early childhood bills are working their way through the legislative process and one, LB160 , was passed and signed into law by Governor Ricketts. It allows communities to access LB840 economic development funds to create or expand child care infrastructure . Read our testimony in support of LB160 . Like last year, the budget debate will be contentious as senators work to ensure state programs and priorities are fully funded. B udget bills are required to be on General File by May 2 (Day 70) and must be passed by May 22 (Day 80). The Nebraska Department of Education (NDE) budget hearing before the Appropriations Committee was March 19. In its original budget request to the Governor, NDE asked that last year’s budget cuts be fully funded this year. The Appropriations Committee released its initial budget recommendations, which restored cuts to Sixpence and the Pre-K grant program. Read our letter in support of NDE's budget request . Senators, committees and Speaker Jim Scheer have selected their priority bills for the session. Each senator may prioritize one bill, committees two bills and the Speaker 25 bills. Priority status means bills jump to the front of the agenda for floor debate after they’re voted out of committee. Non-prioritized bills still in committee may not get their chance to be heard on the floor this session. 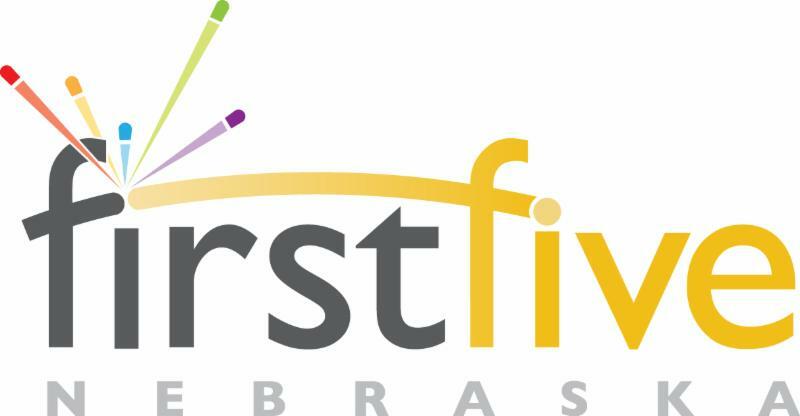 LB590 empowers licensed child care providers to report required trainings to the Nebraska Department of Health and Human Services (DHHS) electronically using the Nebraska Early Childhood Professional Record System (NECPRS) . Doing so will create cost and procedural efficiencies for DHHS and providers. We worked with Senator Tom Briese , DHHS and NDE on this bill and offered supporting testimony when it was heard in committee. The bill passed to Select File after floor debate without any opposing votes. It appears likely to be signed into law this session. Read our testimony on LB590 . LB266 enables family child care home business owners and child care providers designated as S corporations to access the School Readiness Tax Credit , as was originally intended. We worked with Senator Brett Lindstrom to introduce this legislation, and testified in support. It was voted out of the Revenue Committee and placed on General File. Without a priority designation, LB266 faces an uphill battle to make it to floor debate this session. Read our testimony and blog post on LB266. LB720 , or the ImagiNE Nebraska Act, is a new business development and tax incentive program and a replacement for the Nebraska Advantage Act . This legislation includes several incentives that could be used to pay for child care. LB720 is Senator Mark Kolterman's priority bill and is in the Revenue Committee. Read our testimony in support of LB720 . LB564 revises the definition of facilities eligible to receive grant funding under the Civic Community Center Financing Fund . 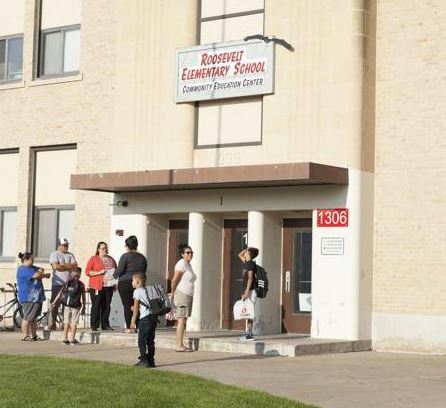 Under the revision, multi-use facilities that include child care may qualify for funding. This bill is currently in the Urban Affairs Committee. Read our blog post on LB564 . LB329 , LB341 and LB459 expand eligibility for the child care subsidy, introduce a graduated phase-out for subsidy-eligible families and implement fingerprint background checks for licensed child care providers as required by federal regulations, respectively . The bills are still in committee. Nebraska risks a 4% penalty to its Child Care Development Fund if it fails to implement the graduated phase-out and a 5% penalty if it fails to implement FBI fingerprint background checks. The Health and Human Services Committee is considering amendments to the bills and the possibility of combining them. Read our testimony on LB341 and LB459 . information on the current legislative session. 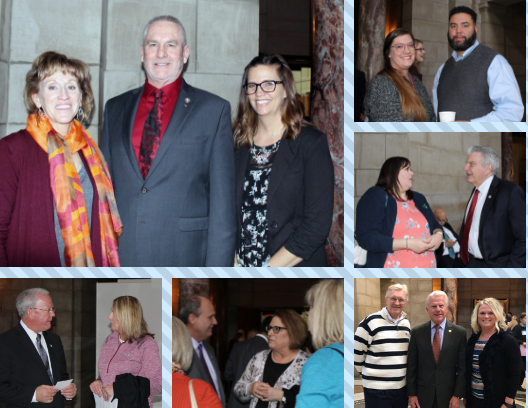 Members of our Nebraska Early Childhood Policy Leadership Academy came together in Lincoln on March 20 for a legislative day at the State Capitol. The group of nearly 30 civic leaders heard insights from Greg Adams, former State Senator and Speaker of the Legislature, on how to effectively engage policymakers as a resource on early childhood issues. Following the morning session, the group spent time at the Capitol, meeting with their senators and watching floor debate. 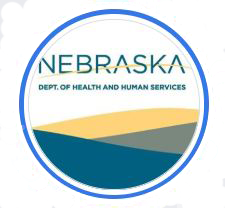 The Nebraska Department of Health and Human Services is offering a Recovery Grant opportunity for child care providers impacted by the recent blizzard and/or flooding in Nebraska. Two Scottsbluff-area elementary schools are helping students develop social-emotional skills through activities to help them identify their feelings and learn vocabulary to express themselves. If students can focus attention, get along with others, take turns and switch between tasks, for example, they're more likely to succeed academically.